In a recent interview with celebrity stylist Dani Michelle, she uttered eight words that stuck with me, “Accessories can really polish and demolish an outfit.” Her casual one-liner may seem hyperbole at first glance, but if you think about it, she’s right that accessories can carry an entire outfit. Your old classic dress can feel completely fresh paired with the right accouterments, and conversely, if your bag and shoes are lacking, it’s a missed opportunity for outfit greatness. With the holiday season in full swing and an inbox full of party invites, it’s the perfect time to up your accessories game for the weeks ahead. Accordingly, I’m laying out the top three trends that will make the biggest impact. The good news is the winter holiday trends are kind of a party in and of themselves. 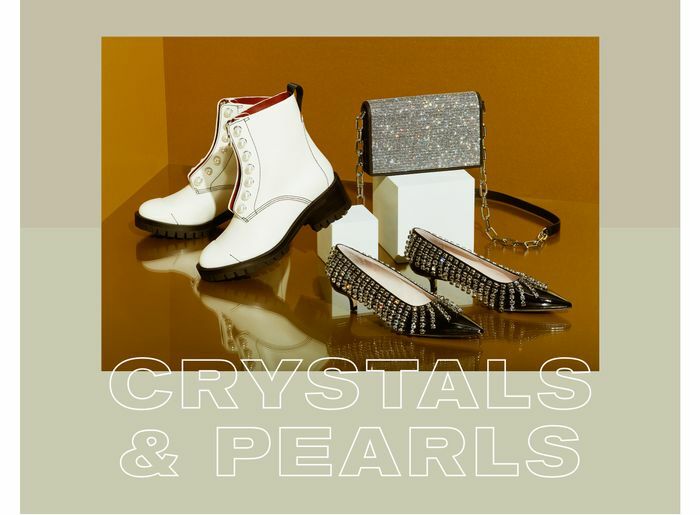 We’ve got quite a few show-offs: crystals, pearls, and feathers as the It embellishments of the season, as well as their more sophisticated friend, satin, if you’re a fan of more understated glamour. 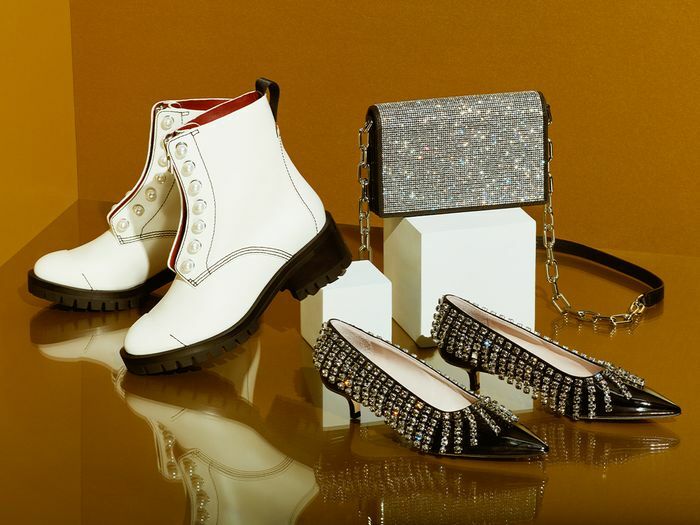 I’ve cherry-picked the best items for each trend in a range of price points, so scroll down to let the shoe and bag shopping begin. Christopher Kane is on fire right now. Count on Alexander Wang to up the edge factor. Not your Grandmother's pearl bag. Don't think, just pouch it. We're calling this color Prince Purple. We think his Royal Badness would approve. This satin belt bag is the stuff of wishlist dreams. The best part about buying accessories from The Row is you know they'll never go out of style. I'm all about that trend security. If Barbie and Carrie Bradshaw had a shoe baby. Imagine these stunners under a wool midi skirt. In case you missed it Lizzie Fortunato is killing it lately. Anything Gilda Ambrosio and Giorgia Tordini touch is gold. Pair these party mules with embellished tights for a festive effect. Cher Horowitz would be jealous. This purse somehow manages to feel thoroughly modern and like a Gatsby-era relic. Rose gold and blush pink were made for each other.